The Index opened flat to negative and the mayhem continued with the index making a low at 8094 but closed a bit higher at 8135.10, still a huge loss of 101.35 points. The broader market was also weak, with just 227 advances to 1306 declines. The broader range as per Option Table has narrowed down to 8000-8500. 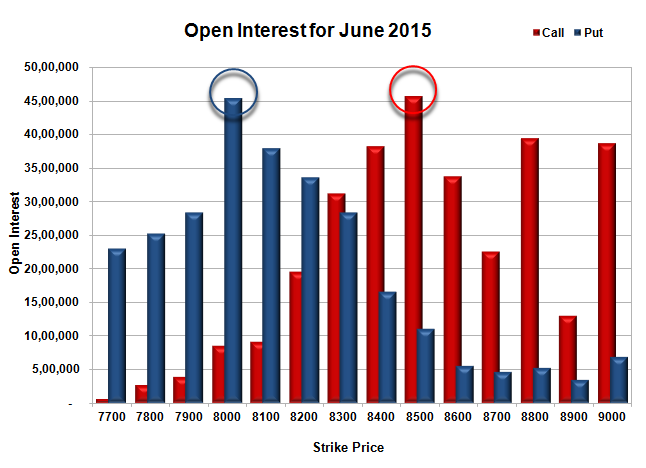 Call option 7900-8500 added huge 44.99 lacs OI with profit booking seen at 8700 and above strike prices. Put option 8100-7700 added huge 13.58 lacs OI with short covering seen at 8200 and above strike prices. 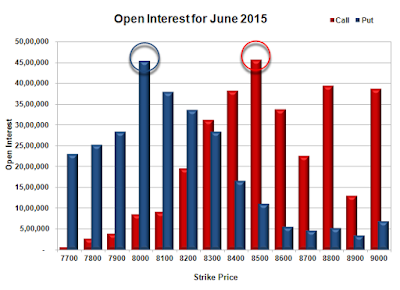 Nifty Open Interest is at 1,60,24,700 down by 86,050, with decrease in price, most probably long liquidation. 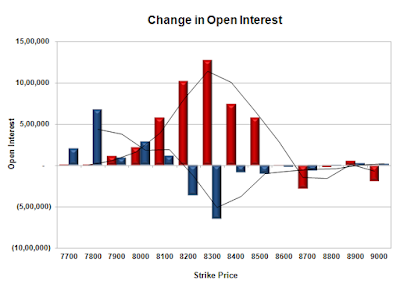 Bank Nifty Open Interest is at 22,31,275 up by 48,625, with decrease in price, most probably short build-up. FII’s sold huge 8.27 lacs Futures, which includes 25954 contracts long liquidation and 7123 contracts short build-up, with decrease in net OI by 18831 contracts (includes 84791 longs to 117868 shorts for the day) and the Average Price comes to 8362.00. FII’s Index future open contract as on date is 322896 Longs to 283425 Shorts, Net Long 39471 contracts. Initial and very good support at 8100, with OI of 37.94 lacs and below that at 8000 with OI of 45.31 lacs. 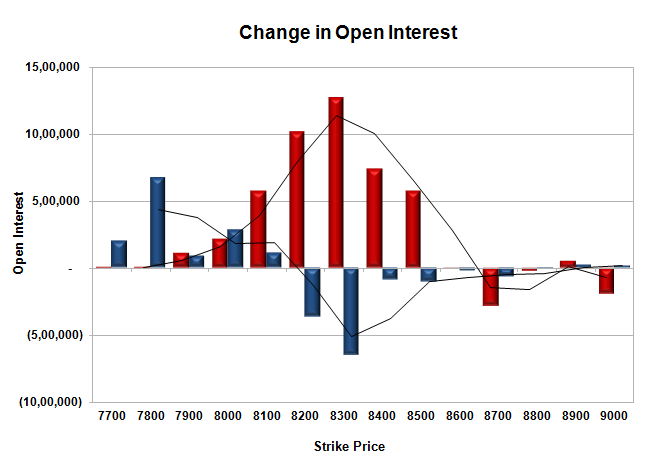 Initial resistance at 8200, with OI addition of 10.14 lacs and above that at 8300 with OI of 31.28 lacs. 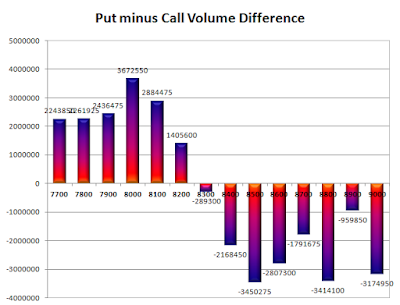 Day Range as per Option Table is 8067 - 8238 and as per VIX is 8061 - 8210 with 8155 as the Pivot.